Another season of the London Design Festival, held this year between September 15 and 23, is history. 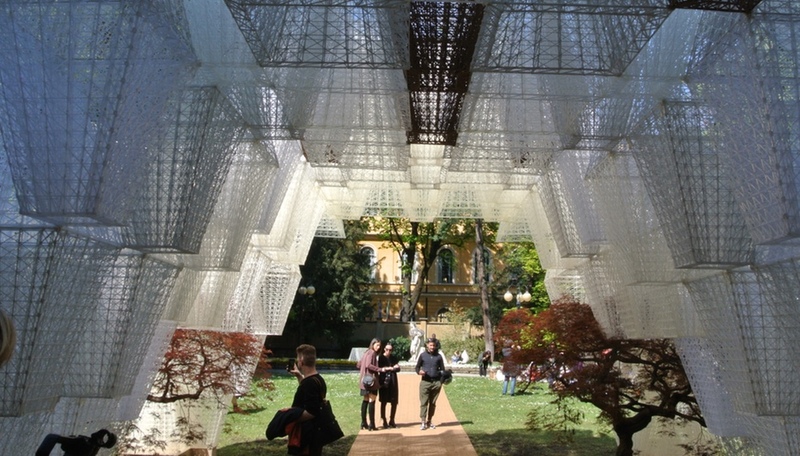 Over its nine days, it attracted attendees from around the world, who took in a wide – and widely dispersed – array of installations, pop-up spaces, satellite fairs and design districts. New talents and stalwarts alike impressed. A wide selection of products and collections, ranging from the unexpected and experimental to the elegant and ultra-glam, was unveiled. Here are our favourites from the week. One of the most popular satellite arms of the Festival, London Design Fair in the capital’s East End has a laid-back spirit that makes it an ideal platform for presenting edgier work. This year, the Portuguese brand UVA teamed up with Alex Mustonen, one third of celebrated design collective Snarkitecture, for its Slip chair, a reimagining of traditional Portuguese wood seating. Snarkitecture’s twist: The base of Slip’s frame drops five degrees on one side, creating the illusion that it’s sloping into the ground. 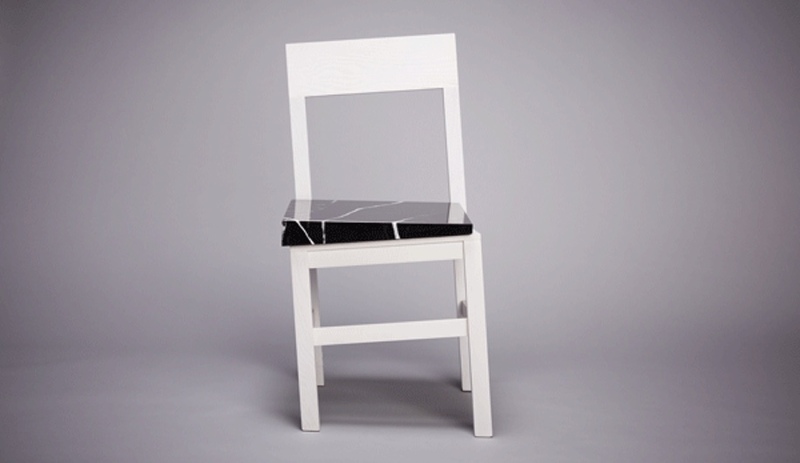 A slanted marble wedge serves as a seat, restoring the sitter’s equilibrium. 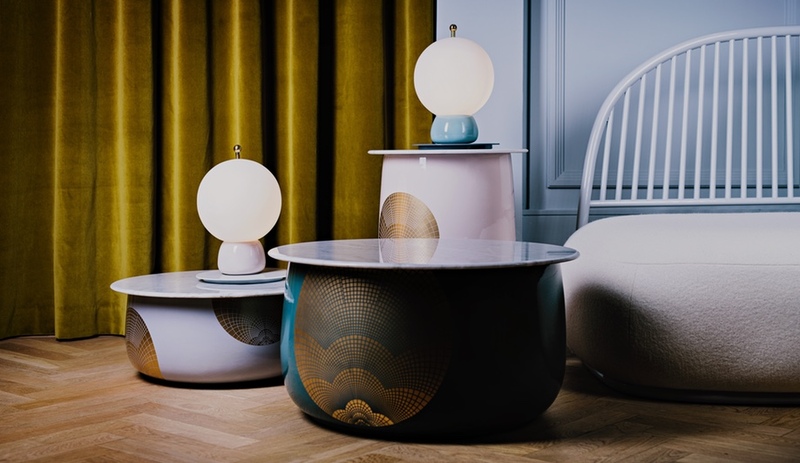 Hidden among the showier gems at designjunction was Studio Anansi, helmed by Canadian designer Evan Jerry, who relocated to London this year. Studio Anansi made its LDF debut with the Tulum collection inspired by the Mexican resort town. 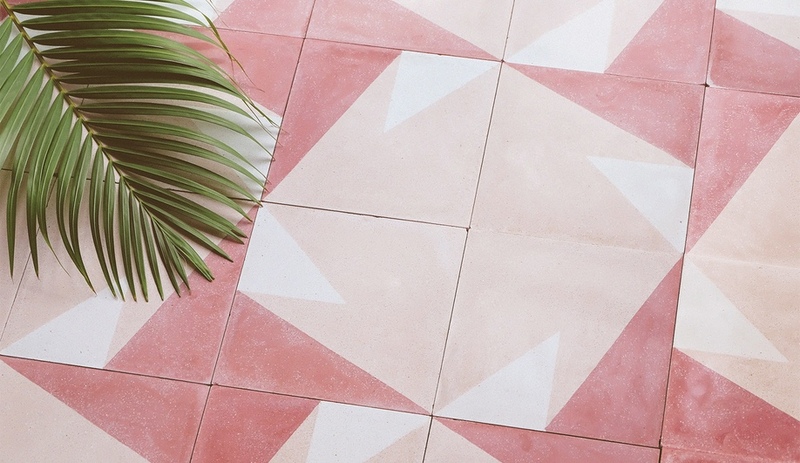 Among the highlights of the collection were a series of handmade ceramic tiles in dusty rose that can be reconfigured in various iterations to create bespoke patterns. The abstract motifs drew from Mayan designs Jerry discovered while on a six-month research trip to the Yucatan. 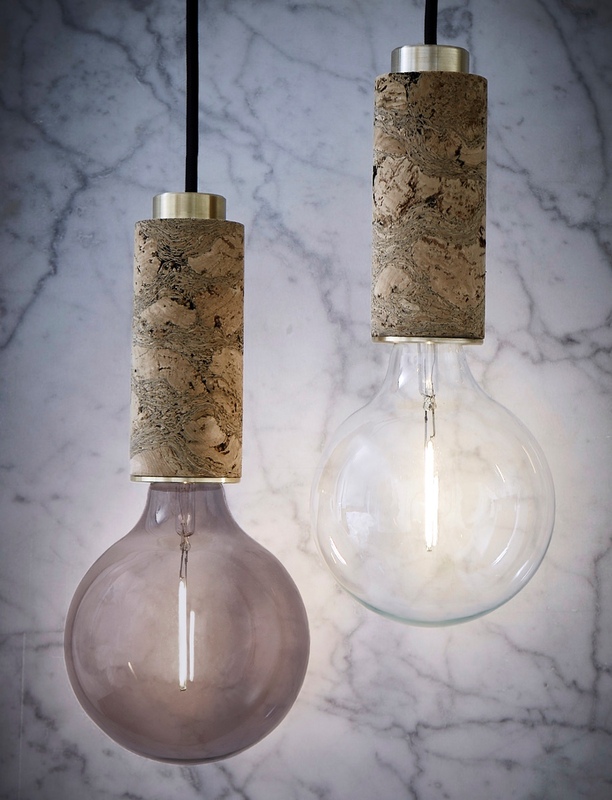 Nove Lighting was launched about six months ago in Manchester by Kirsty Saxon, who incorporates cork detailing into her fixtures. Saxon’s booth at London Design Fair attracted scores of people intrigued by the cylindrical table, wall and pendant lamps featuring brass and powder-coated-steel elements. 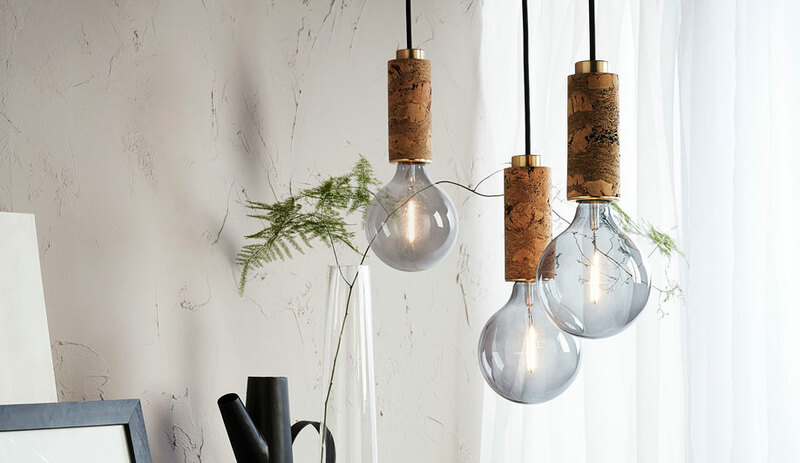 Saxon sourced the cork from Portugal and worked with a small, family-run company that harvests and produces the material, which is distinguished by its unique markings. 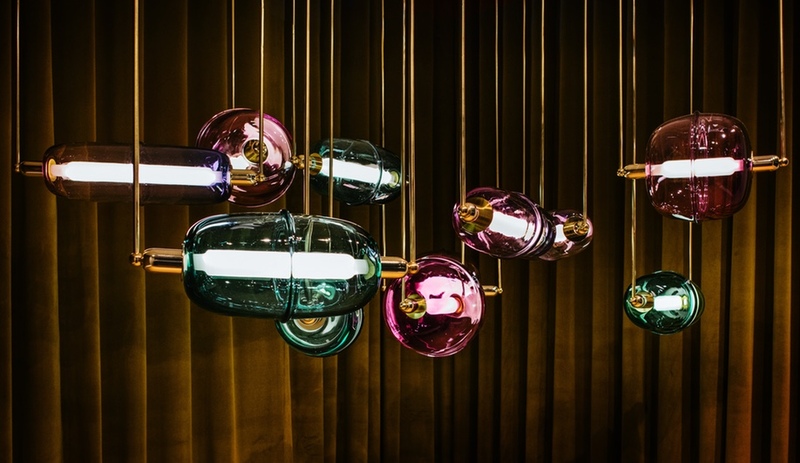 Collection IV by Ini Archibong, the Swizterland-based American designer’s new line for furniture brand Sé, made its U.K. debut at Below the Heavens, an installation at Sé’s showroom in the Brompton Design District. The display, which juxtaposed Ichibong’s pieces among others from the brand’s catalogue, was a sumptuous amalgam. 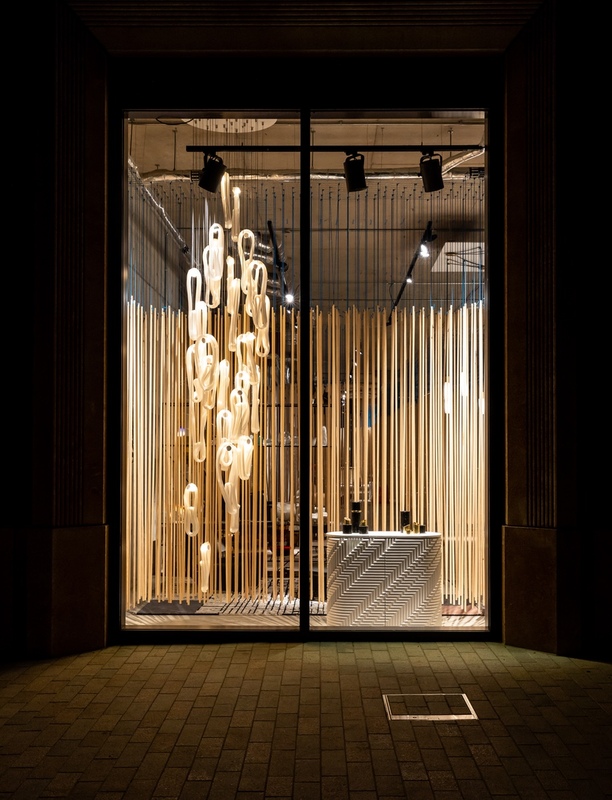 Components included Archibong’s voluptuous Gaea pendant light and delicate Morai chandelier alongside a new satin iteration of the Stay chair by Nika Zupanc, who designed a previous collection. Pulpo’s takeover of the front half of design and lifestyle shop W. A. 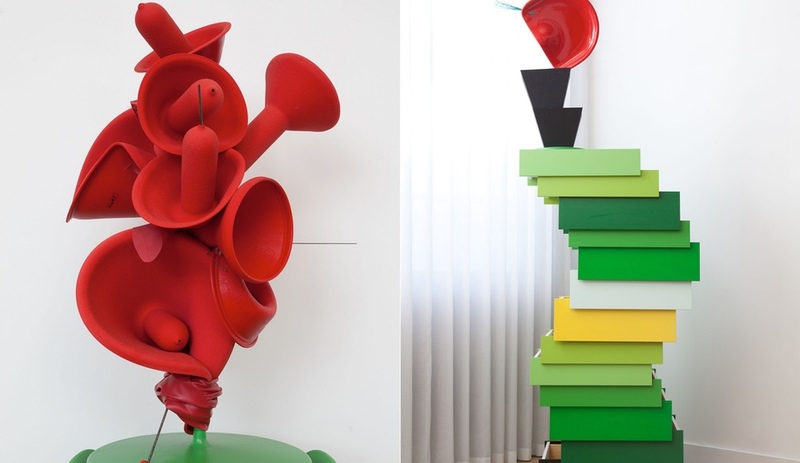 Green was one of the most colourful installations in the Shoreditch Design Triangle. 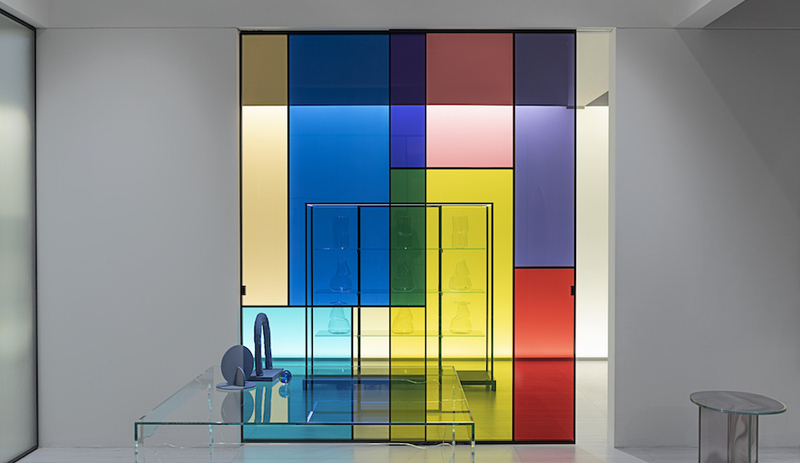 Pulpo’s sublime collection of glassware and furniture stretched from window displays to the first half of the shop and showcased the wide breadth of textures, colours and materials the German company embraces. The curvaceous Kaboom armchair in a rich royal-blue velvet was featured alongside flat glass candle holders in various colourways, while a prototype of the leather and steel Cut lounge chair and ottoman sat in the window, enticing viewers to come in and have a gander. The Matter of Stuff concept space – a pop-up by the London-based design research gallery of the same name – actually launched a bit earlier than LDF, but was one of the buzziest places to check out. Designed by Raw Edges, the temporary MoS space in Kings Cross was a physical manifestation of the work it champions – both in the products on display (which focused on artisanal craftsmanship) and in their materiality (marble and ceramics, frequent subjects of MoS’s research, figured prominently). The walls in the vast space acted as a huge mood board, displaying massive panels of marble marked by various textures and inlays in addition to ceramic tiles by Gio Ponti and Giles Miller, among others. 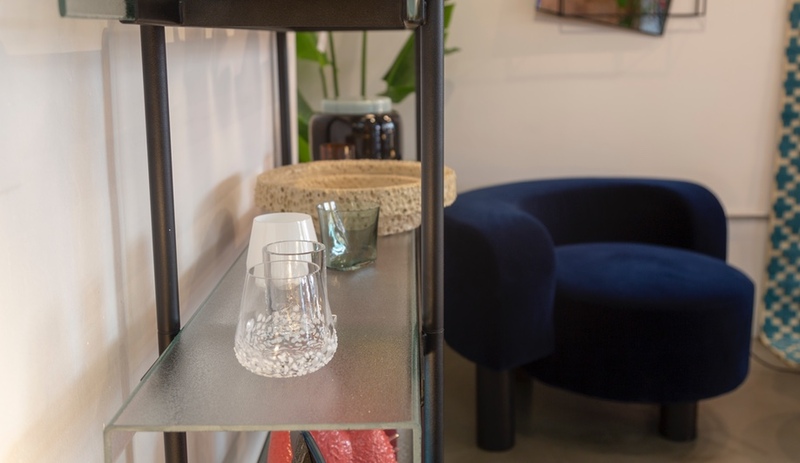 Featured products included Julian Mayor’s Scoop chair, Basalt lights by Tala and Sebastian Herkner’s Salute Table, which sat alongside a new furniture collection by Studio Bohinc and a Simone Crestani Eterea console table perched on hand-blown borosilicate glass legs. 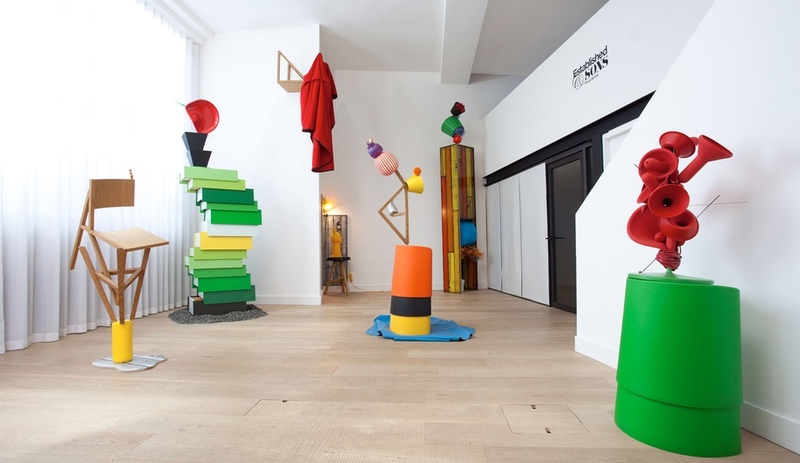 Established & Sons commissioned multidisciplinary artist Lorenzo Vitturi to create an installation that reimagined the brand’s past and current collections in a site-specific installation. Vitturi, who took three days to (re)assemble the works, transforming the brand’s HQ into an art space in the process, deconstructed pieces including the Stack drawer unit, the Frame and Heidi chairs and the Wrongwoods credenza, then reconfigured them into larger structures that offered a different take on the furniture. 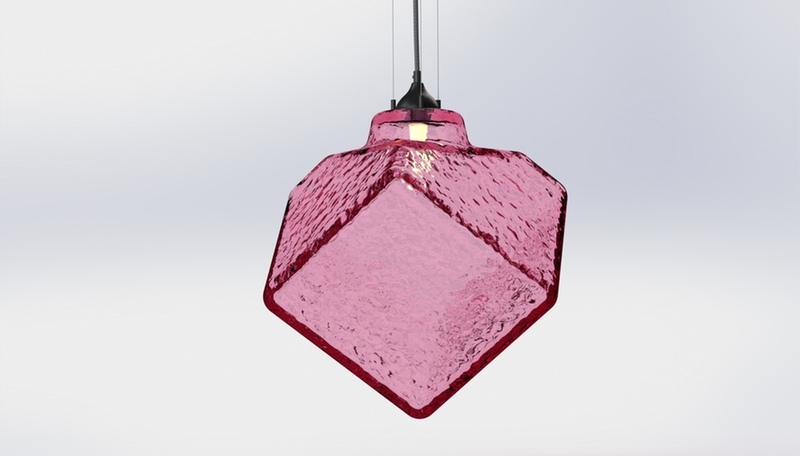 Although the redesigns were fresh, whimsical and fun, the original products within them could still be made out, attesting to their strength as individual pieces.